As the Columbus brewing scene continues to thrive, there are plenty of newcomers to the region. As you get out and about this spring, pay a visit to these six new breweries! Parsons North Brewing came to life on a budding stretch of Parsons Avenue. The bright and airy taproom is part of the East Public development; it shares a building with the notable Comune Restaurant. One side of the taproom features cozy lounge seating and the bar, while the other side includes pinball machines and other games. Even in their first months, Parsons North co-owner and head brewer Seth Draeger has introduced a wide range of beers, including an Irish rye, a west coast IPA, mulberry saison, Belgian dubbel, brown ale, a grapefruit wheat and beyond. Antiques on High is the sister brewery to the much-loved Seventh Son Brewing. 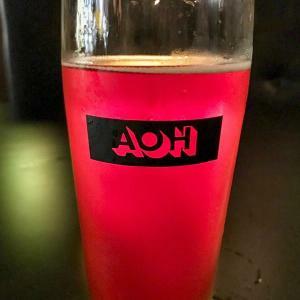 Located on a bustling stretch of South High Street in German Village/Brewery District, Antiques on High is dedicated exclusively to sour beers. 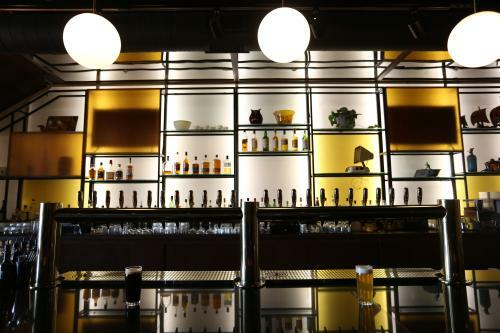 Their menu features a rotating selection of 10 house-made sours, from light and drinkable to strong and tart. 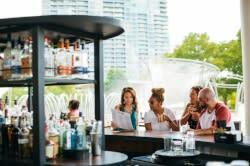 The mid-century modern décor, multiple patios and fireplaces make the perfect backdrop for sipping. Bonus: Antiques on High’s cocktail program is equally strong. Somewhere in Particular takes its name from head brewer Pat Sullivan, who has operated a nomadic brewery called Nowhere in Particular for years. Now he’s settled down in a brewery and taproom situated behind the historic Henderson House on the Northwest side. Head to the taproom and patio for creative brews like the Deflate Gate New England IPA, Penny Arcade chocolate strawberry sour, or the Hanging Gardens of Babylon imperial stout. 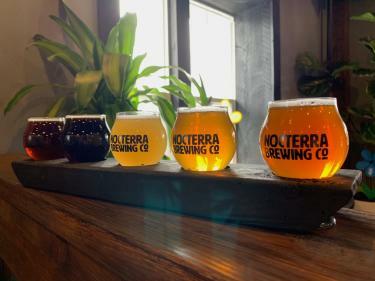 Nocterra Brewing came about through a partnership between two award-winning homebrewers: Bruce Vivian and Bryan Duncan. The brewery draws its name from ‘noc’ for &apos;nocturnal,&apos; since homebrewers frequently practice their craft at night, and ‘terra,’ for Vivian and Duncan&apos;s love of the outdoors. Their Powell taproom and brewery is located in a century-old freight depot. Here, guests can sip from Nocterra&apos;s growing roster of easy-drinking lagers, rich IPAs and tart sours while enjoying board games, local food trucks and sitting by fire pits in a giant beer garden. 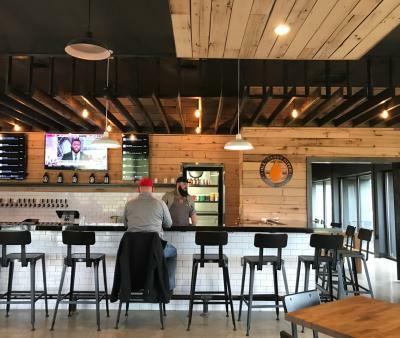 Nostalgia took the recently vacated space of Pigskin Brewing in Gahanna’s Creekside development. Originally starting as Multiple Brewing in Nelsonville, Ohio, the company owners updated the name of the brewery, added a new partner and moved into the Gahanna space. They currently offer light bar snacks, a big patio space and beers with nostalgic names: 7734 Helles lager (think of typing numbers into a calculator and flipping it upside down), the Studying Abroad Scottish ale, or the No Wrong Way peanut butter (think of the old Reese’s campaign). Olentangy River Brewing is Lewis Center’s first brewery. Decorated in natural woods, the taproom is located a couple blocks from Highbanks Metro Park, and plays host to local food trucks. Visit them to sample a wide roster of beers, including the Sofia “Ohiorrican” IPA, Roosevelt coffee stout, or I Can’t Feel My Pants Russian imperial stout. Good to note: the brewery shares its taproom with a location of the Roosevelt Coffeehouse. They open early each day serving brewed coffee, espresso and more!